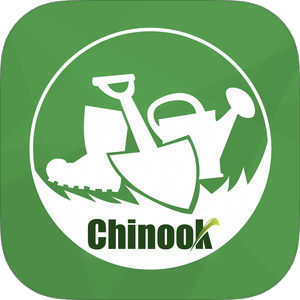 Chinook Landscaping app now on Apple App store! Chinook landscaping and design is excited to introduce our first landscaping Calgary app. It is ready for you to download to your iPhone now at the Apple app store. Many Calgary homeowners are not sure of what kinds of trees and shrubs to plant in their front and back yards. Use this part of the app when planting trees and shrubs. Scroll through the pictures to view many photos of trees and shrubs that grow well in Calgary. The pictures include captions with the shrub or tree name so you can easily identify the type of shrub or tree you are viewing. See a landscaping picture you like? Or a tree or shrub you would like planted? You can contact us very quickly via our Chinook Landscaping app by simple clicking on request estimate. We receive the estimates quickly and we will respond fast to your estimate request.